Afrikanist: Education is a Streamliner. Mr Nwosu is a character from my primary 2 reader.Mr Nwosu is a trader who lives in Onitsha with his wife and two daughters. 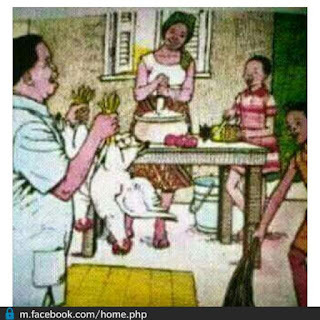 Every Christmas he comes home with 2 big Chicken and Chicken Stew was a great deal for the 7years old me so I decided that I will be a Trader in the Future. I told my parents about it but they dismissed it without any thought and much laughter. God forbid! None of my Child will ever be a Trader. I was disappointed because I wanted them to say something but I was young and naive so it was easy for them to dismiss the conversation without any Argument. 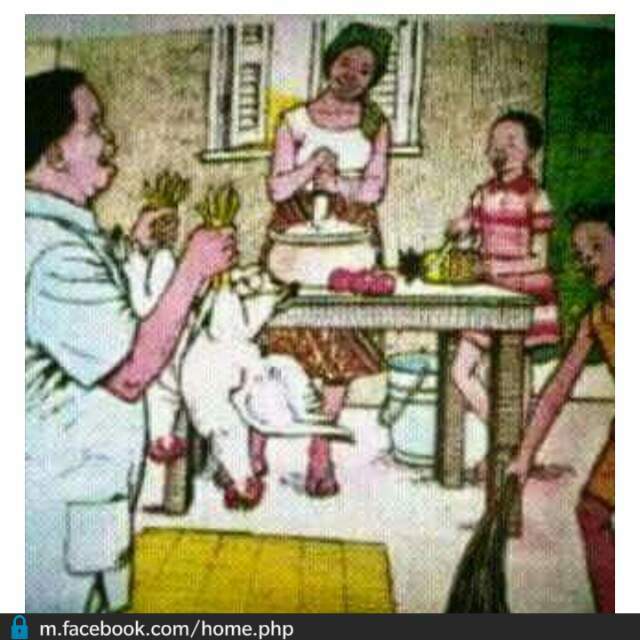 Two years later I read about Mr Saba in my primary 4 Reader; Mr Saba is a Farmer who grows yam, beans and Maize among many other crops. I love watching plants grow so I decided that I must be a Farmer but am not going to tell my parents about my new found ambition. Now I already know the difference between professional and unprofessional Courses and the prestige that comes with having a University degree .Years later when I was applying for Universities in Nigeria I told my parents that I wanted to study Agriculture Economic and the first Question my parents asked was ' Those people dey work for oil company? '. So if you must go to University, the first priority is getting a Job in an Oil Company. I later gained Admission into one of Nigeria's prestigious Federal University to study Chemical Engineering after which I graduated and joined the League of Unemployed Graduates. The Anecdote above is not to tell you about my discovery of the damage 'Education' has done in our society but if not for Anything it should be an Ode to Children's Opinion in Africa. Education can be a very wonderful tool but it depends on 'What kind of Education? '. 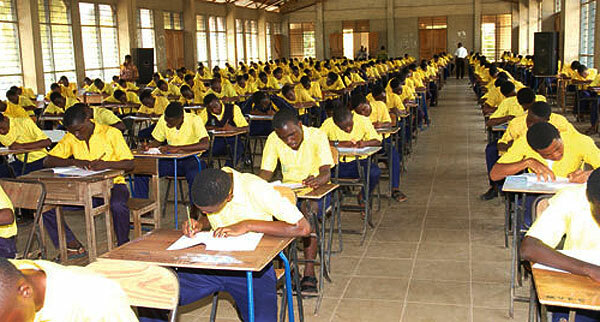 Education as it functions today in Nigeria is a Streamliner. There's this idea that everyone must study to be an Academic or for one to be Successful you must go to University after which your priority is getting a Job in an Oil Company. Education streamlines people into one thing and there is no diversity. The idea of Students absorbing Materials and spitting it back to the Lecturer to get an A is not proper Education. Over the years people have argued about the decay in the standard of Education in Nigeria and many people agreed that it's due to the bad learning conditions, less pay of Academics and poor working conditions but I think the Curriculum for teaching matters alot and the curriculum in Nigeria is very Rigid and inflexible so there is no room for ICT or any changes. There should be a Change in the definition of the Word ' Education ' and this is what we should do; we have to start a correction from our foundation which is the kindergarten. We should Listen to Children and not to pretend like they are Adults because they are not. Listen to Children's Opinion always because they are alot more perceptive and intelligent than we give them Credit for. And the idea that everyone must study to be an Academic should be eradicated. Children are not allowed to have Opinions! If you have Opinions then you are Rude. As a child you're not expected to ask your Teacher Questions, it doesn't tell well of you. If you must ask Questions in Class it should be easy if not it's a take-home assignment for the Class. If you're in Undergrad school, don't ask your lecturers Questions and please don't think aside the box just absorb Materials and Spit it back to the Lecturer words for words and get your A. This is one of the silly idea behind Learning in Nigeria. It shouldn't be so. What if we have different centres that specialises in agriculture or ICT or Trade and Commerce where people can go and learn to become what they want to be? But there's a flaw because those places will be considered less prestigious and students would prefer to go to University than Agricultural learning centres. What if my parents were more perceptive and listened to my opinion about becoming a Farmer, I would have been a better me. What if my parents were not product of a Society that values University degree more than Ability? The Igbo word for University is Mahadum which translates into ' knowing it all '. My fore fathers called it Mahadum for good reasons and I think the Education system in Nigeria has failed my fore fathers definition of a University. We could make changes and here is how we should go about it; Teachers should listen to their pupils and students in all levels of learning and the idea of Teachers being the ' Lord ' should be eradicated.